South African meat producers could consider litigation against the US if it imposes new tariffs on aluminum-based exports such as vehicles, said Trade and Industry Minister Rob Davies. 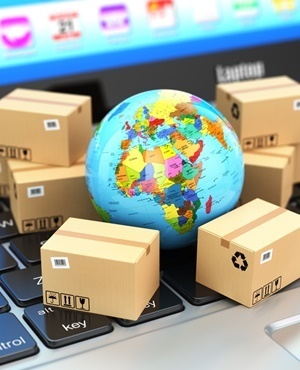 Amid a threat of a global trade war, the US and its African counterparts are discussing the African Growth and Opportunity Act, a preferential-trade program that enhances market access to the US for about 40 sub-Saharan nations by eliminating import levies on more than 7 000 products ranging from textiles to manufactured items. In 2016, South Africa retained preferential access for its farming goods to the world’s biggest market after meeting benchmarks set by President Barack Obama to allow the import and sale of US meat products. The nation is the largest non-oil-exporting beneficiary under AGOA and the bulk of its shipments under the accord are vehicles and car parts. The government is concerned that the US is considering a new wave of tariffs that could be extended to the auto industry, which is one of the cornerstones of South African manufacturing. In June, the Trump administration imposed a 25% duty on steel and 10% levy on aluminium from the European Union, Canada and Mexico, after refusing their calls for permanent exemptions. The US says the tariffs are needed to protect its industry and national security. "We reminded our US interlocutors that the concessions we made on the three meats - poultry, pork and beef, as a quid pro quo - are linked to our continued benefit from AGOA,” said Davies by phone from the US. If the US government spread its focus to South African-made cars, "there could well be a litigation that could challenge our continued offering of that facility to the United States, we made that clear," said Davies. The US government is performing the annual review of the AGOA program that has seven years before it expires. It was not clear what would replace it if that was not reviewed, said Davies.